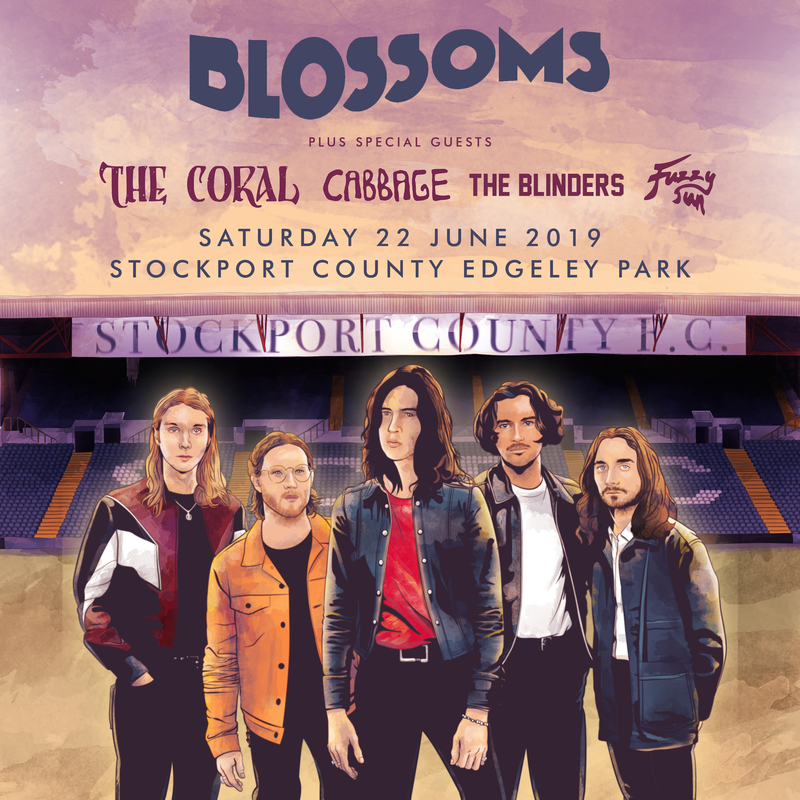 The I Can’t Stand It outfit will play Edgeley Park Stadium next June with special guests including The Coral and Cabbage. Blossoms have announced a huge gig at the home of Stockport Country FC. The Charlemagne five-piece have confirmed the massive homecoming show and their biggest headline gig to-date will take place on Saturday 22 June at the football team’s Edgeley Park Stadium. Joining them at the career-defining gig will be special guests and mentors The Coral, joined by Cabbage, The Blinders and Fuzzy Sun. “We’ve got a special place for Stockport County,” he added. “It’s the biggest thing we’ve done as a band. Tickets for Blossoms’ Edgeley Park gig will go on sale on Friday 19 October from 9am. Blossoms recently sold out their entire December 2018 UK tour in one day, selling over 25,000 tickets in the process. The tour will see them play in Glasgow, Sheffield, Nottingham, Birmingham, Bristol and Southampton, as well as two gigs at Manchester’s Victoria Warehouse and a London date at Brixton Academy.